Located at Keahole Point, just a mile south of the Kona International Airport, the NATURAL ENERGY LABORATORY OF HAWAI‘I AUTHORITY is a sprawling 800-acre complex populated by entrepreneurs engaged in innovative technology and product development. Here, the State of Hawai‘i is developing an array of renewable energy sources. Scientists explore geothermal energy (stored at the Earth’s core), wind power, hydrogen energy (pollution-free energy carriers) and various biomass energies (a renewable resource drawn from plant matter). NELHA also is the only place in the world where the vast natural resources of sunlight and seawater are harnessed to support exciting new AQUACULTURE TECHNOLOGIES. Huge intake pipelines are used to deliver cold deep-sea water from 3,000 feet below to tropical, warm surface seawater. “TECHNO-MAGICIANS” use the cold seawater to cool buildings as well as grow creatures like cold-water abalone, lobster, Japanese flounder and more—all creatures that couldn’t exist in Hawai‘i’s warm waters. The abalone farm conducts regular TOURS in conjunction with a general presentation and offers a taste of the fresh delicacy. 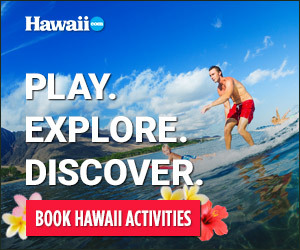 For more information about NELHA or tour reservations, call (808) 327-9586 or visit www.nelha.org.